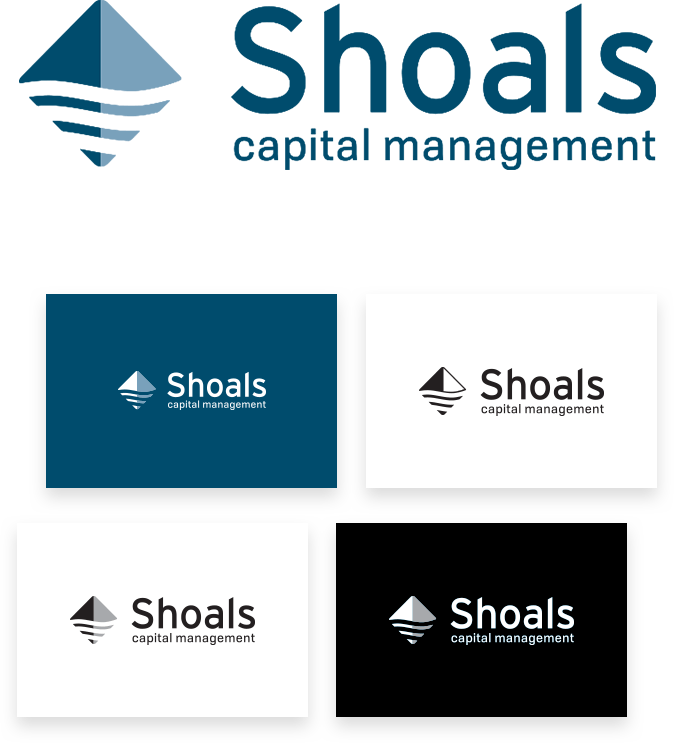 Although Shoals Capital Management is essentially a start-up, its staff are all seasoned professionals. In fact, they are a team of experts with decades of experience, advising their clients and giving them the kind of guidance that sets them at the top of the industry. Creating a brand for Shoals was an exercise in precision and artistry. As you explore further there is a lot more to discover – this is not, as it might seem at fist, just a simple diamond shaped logo! The Shoals brand represents stability and excellence in an ever growing and competitive industry. With its personable fonts and soft color treatment, the design impresses through originality, attractiveness, and professionalism. Whether it is moving people from their current financial state into a more lucrative one, or helping investors feel differently about certain real estate markets, Shoals Capital Management and its brand represent – movement. The customized fonts and the partitioned artwork are also in movement, from left to the right. 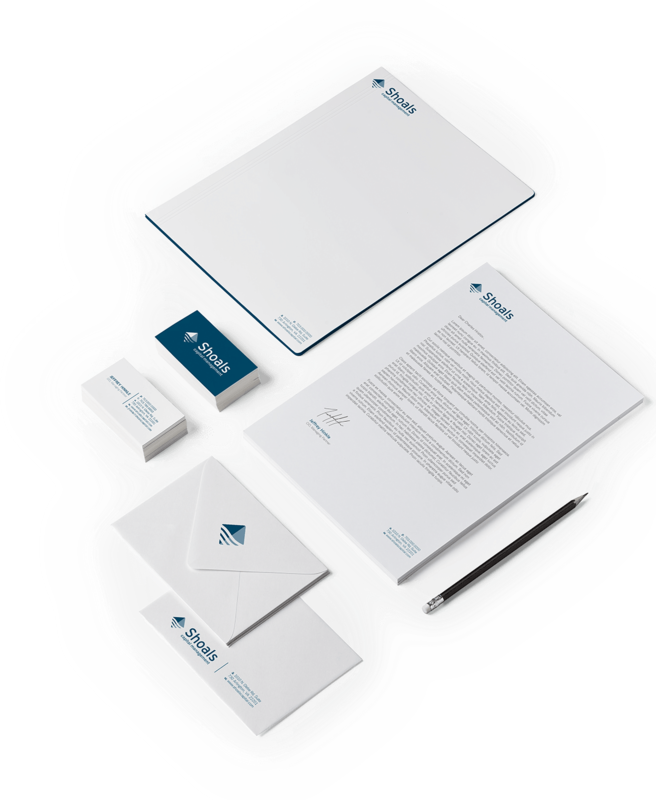 When dealing with Fortune 500 companies or writing to government department heads, Shoals needed a solid print system to support their new brand.